When it comes to nutrition, all pet owners have a tendency to spoil their dogs. Shi Tzus are so cute, and they know how to use their adorable faces to get exactly what they want. It is no wonder owners end up giving them what they want. We get it - it is impossible to say no to a pleading Shih Tzu. But we should also remember what we signed up for when we took these furballs under our wings – that we will take care of them and provide them with the best life possible. And that, of course, does not include overfeeding. 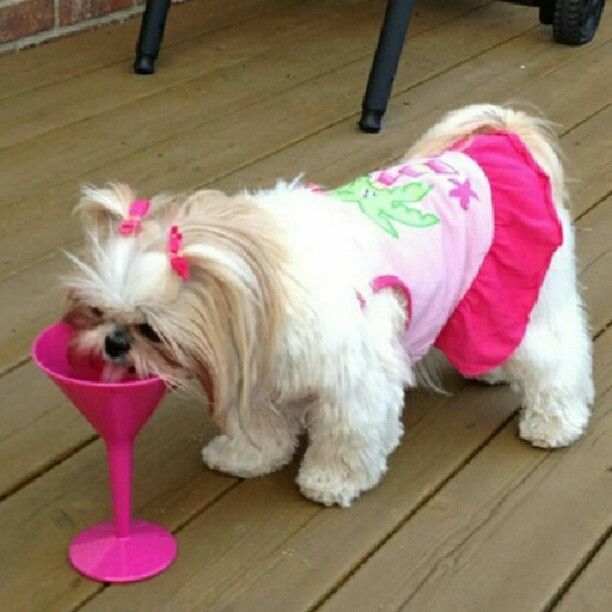 Here are other reminders to keeping your Shih Tzu’s diet balanced and healthy. Shih Tzus are not like sporting dogs that can withstand extreme pressure on their bodies. These are dogs that are bred to live comfortably and are equipped with small snouts which are not enough to keep them cool all the time. This means that your pet should also be kept cool and comfortable, which means keeping them indoors on hot days and keeping fresh water out every single day.